Born to Anglo-American parents on the Appalachian frontier, captured by the Miami Indians at the age of thirteen, and adopted into the tribe, William Wells (1770–1812) moved between two cultures all his life but was comfortable in neither. Vilified by some historians for his divided loyalties, he remains relatively unknown even though he is worthy of comparison with such famous frontiersmen as Daniel Boone and Davy Crockett. William Heath’s thoroughly researched book is the first biography of this man-in-the-middle. A servant of empire with deep sympathies for the people his country sought to dispossess, Wells married Chief Little Turtle’s daughter and distinguished himself as a Miami warrior, as an American spy, and as an Indian agent whose multilingual skills made him a valuable interpreter. 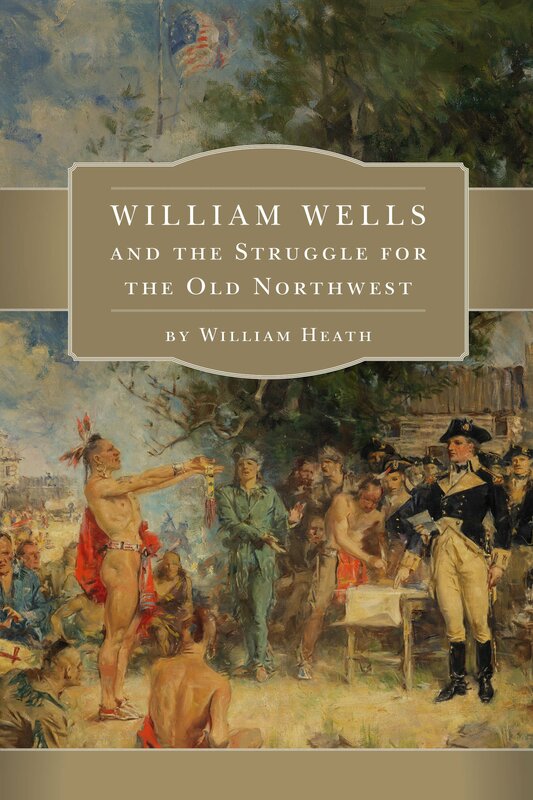 Heath examines pioneer life in the Ohio Valley from both white and Indian perspectives, yielding rich insights into Wells’s career as well as broader events on the post-revolutionary American frontier, where Anglo-Americans pushing westward competed with the Indian nations of the Old Northwest for control of territory. Wells’s unusual career, Heath emphasizes, earned him a great deal of ill will. Because he warned the U.S. government against Tecumseh’s confederacy and the Tenskwatawa’s “religiously mad” followers, he was hated by those who supported the Shawnee leaders. Because he came to question treaties he had helped bring about, and cautioned the Indians about their harmful effects, he was distrusted by Americans. Wells is a complicated hero, and his conflicted position reflects the decline of coexistence and cooperation between two cultures. Selected by True West Magazine as one of the best books of 2016 on the Frontier History of the Early Republic. Finalist for 2016 Ohioana Book Awards – best book about Ohio or an Ohioan. Nominee for Midwestern History Association for the Jon Gjerde Prize for Best Book on Midwestern History published in 2015.